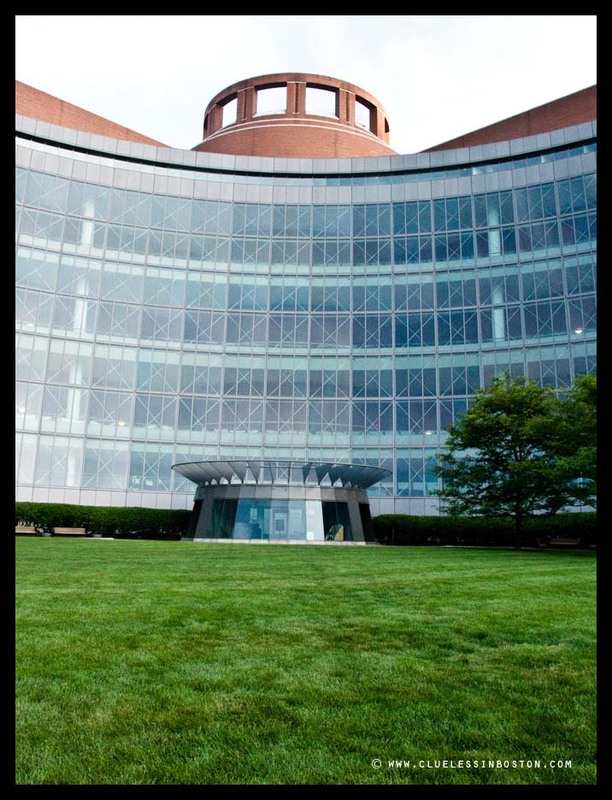 This week's doorway is the Moakley Federal Courthouse, a beautiful building on Boston Harbor. 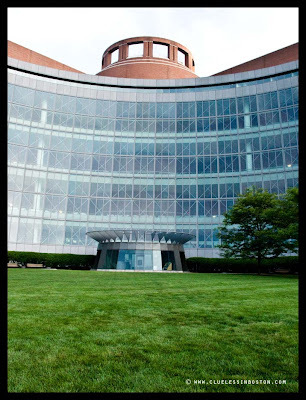 Usually I'm not fond of modern buildings; But this one is so impressive and strange!I can't believe it's a justice buildings, ours are so old or modern but ugly! Great shot! Unusual architecture, I like all those curves and circles, the top one almost like a Roman arena. Like the colours combination and composition. Really an interesting structure, I'm curious to see the rest.. The angle of this shot adds an interesting dimension. Kudos, Clueless. Another excellent composition. I wouldn't have thought it was a doorway if you didn't say so. Looks almost sci-fi, neat building. Love to try it on black and white film. It took me a minute to figure out where the doorway was. Nice shot! Wow! What a doorway! It is not your average doorway, is it?? ?